We at Alam Flora believe that employees are most valuable asset, essential for our growth and success. We are always on the lookout for individuals who are equally passionate about clean environment. Being the biggest integrated solid waste management company in Malaysia - we offer many exciting and diverse career opportunities. 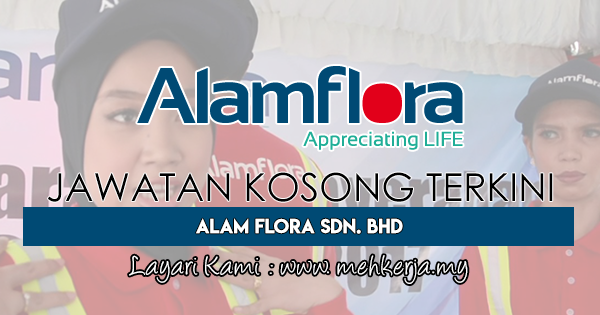 Incorporated in 1995, Alam Flora Sdn Bhd is one of the leading environmental management companies in Malaysia that is dedicated to serving communities to manage and reduce waste with minimal environmental impact. Alam Flora is a wholly-owned subsidiary of DRB-Hicom Berhad, one of Malaysia’s leading companies listed on the main market of Bursa Malaysia Securities Berhad, playing an integral role in supporting Malaysia’s transformation into a competitive, knowledge-based and high income nation. DRB-Hicom are entrepreneurial conglomerate with three core business sectors, automotive, services; and property, asset and construction. 0 Response to "Jawatan Kosong Terkini di Alam Flora Sdn. Bhd - 26 July 2018"